You walk into the classroom for the first day of Western Civilization, in your best ‘new semester, new opportunities’ wardrobe (i.e. your best pair of sweatpants). You find a seat in the auditorium-like room and sit down, making small talk with others around you. Suddenly, the professor walks in and before even taking roll, he immediately slaps a packet down on each student’s desk. It’s the syllabus, and the first of many syllabi you’ll get over the next few days. It’s syllabus week. You go in for the first day of each class, getting an over-sized packet of information that takes your professor the rest of the week to explain. Some people hate it, thinking it’s a waste of time. Others love it, seeing it as an easy first week of the semester. It’s what you do with those packets, though, that make a difference in the way your semester goes. Are you one to throw them away? Do you put them in a folder, never to be opened again? If that’s you, it may be worth rethinking your strategy. Follow the tips below to learn how to make the most of your syllabi! The best thing to use your syllabi for is planning your semester. The first step in doing this is to get a planner. There are plenty of options out there, both cheap and more expensive. 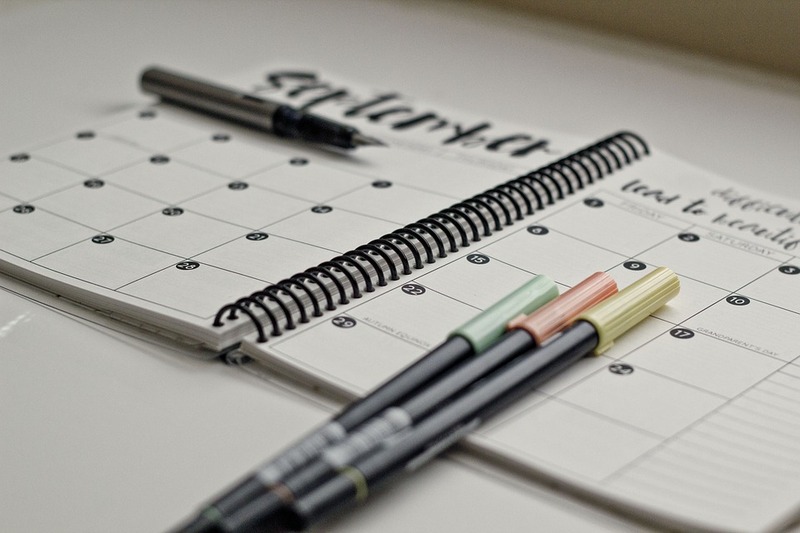 Don’t be afraid to spend a few extra bucks on a nice planner. You’ll be more inclined to use it if you actually like the way it looks (and knowing you spend more money on it is a pretty good incentive itself). Once you’ve got your planner, grab your first syllabi. What you’ll find is that almost every assignment you’ll have throughout the year is right in front of you. Go through the schedule portion of each syllabi and put those dates on your calendar. Do this during syllabus week while most professors aren’t assigning homework. Once you’ve put everything in your planner, the real key is to use the planner! Make sure to stay up-to-date with what’s due each week. Having everything in one place keeps you organized and on-track all semester. If you’re anything like me, your syllabi will soon be looking more like the rainbow. I am a sucker for highlighters, and they’re a sure-fire way to make sure you stay organized. Planners aren’t for everyone, so the next best thing is to use the syllabus as its own planner. Toward the back of most packets, professors have already laid everything out into a neat calendar-like design for you. 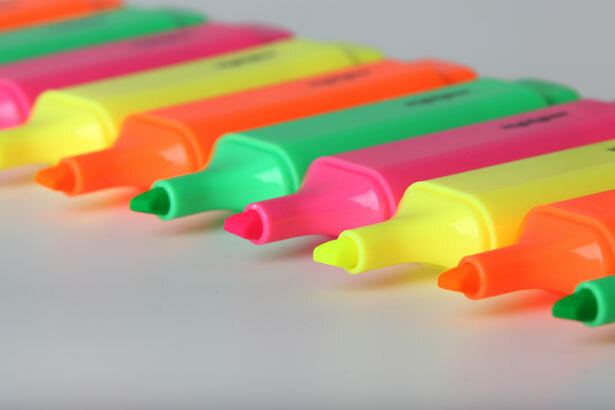 While your professor is going over the syllabus (more like reading it to you, even though you, in fact, know how to read) whip out those highlighters and get to work. In order for highlighting to work, you have to color code. For instance, use a yellow highlighter for large projects, a blue highlighter for reading assignments, etc. This will make it a million times easier to find exactly what you’re looking for when due dates start coming up. Sometimes you hear people say ‘You’re such an overachiever,” like it’s a bad thing, but let me tell you when you’re in college, overachieving can be your best friend. 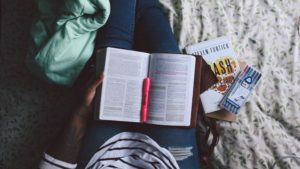 Luckily, your syllabi allow you the opportunity to get ahead in your classes when you have the time available, so that you don’t have to cram everything in at the last second. Let’s say it’s Tuesday and you’re working through the required reading for that Western Civ class you were sitting in at the beginning of this post. Chapters one and two are to be read by tomorrow (Wednesday), the next two chapters by Friday. You finish reading chapters one and two and have no other homework to do for the night. 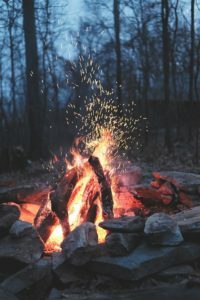 The best thing to do is take a few extra minutes to read the next couple chapters while you have time so that by the time Friday rolls around, you aren’t forgetting, or hurrying, to read those chapters. Perhaps my favorite thing about syllabi is they often tell you exactly what your final project or final exam will look like. In my case, my majors were both very project-oriented, so rather than taking a final exam, I turned in projects or large papers. I was always able to work on these throughout the semester, with help from my syllabi, so that I would have more time to do my best with them, and so that I wouldn’t be locked away in a study room at the library for the entire last part of the semester. For example, I took a literature class in which the final was a 25-page paper. I worked on this over the course of the semester, writing about three or four pages per week, if not more. I broke the assignment up so that writing 25 pages didn’t feel like as much. It wasn’t nearly as gruesome and I had more time to proofread (and more time to hang out with my friends) as the semester came to an end. Aside from the positive planning aspect of syllabi, they’re also good for keeping track of the way each professor handles a classroom because, as we all know, professors can all be very different. If you take out the class schedule, perhaps the most popular thing in syllabi is the attendance policy. It’s inevitable. You’ll rarely find a student that hasn’t considered just not showing up to class one day. 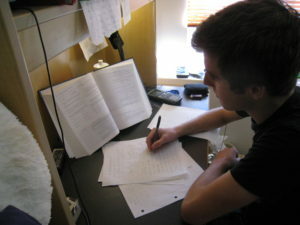 Maybe you’re cramming for a test or you’re simply tired and need some extra rest. No matter the reason, it’s always important to know how many classes you can skip before it impacts your grade. That number varies with some classes allowing as little as two unexcused absences, others six or seven. Having a syllabus for each class allows you to keep track of exactly how many days you have so that you don’t miss one too many days and cost yourself a grade. 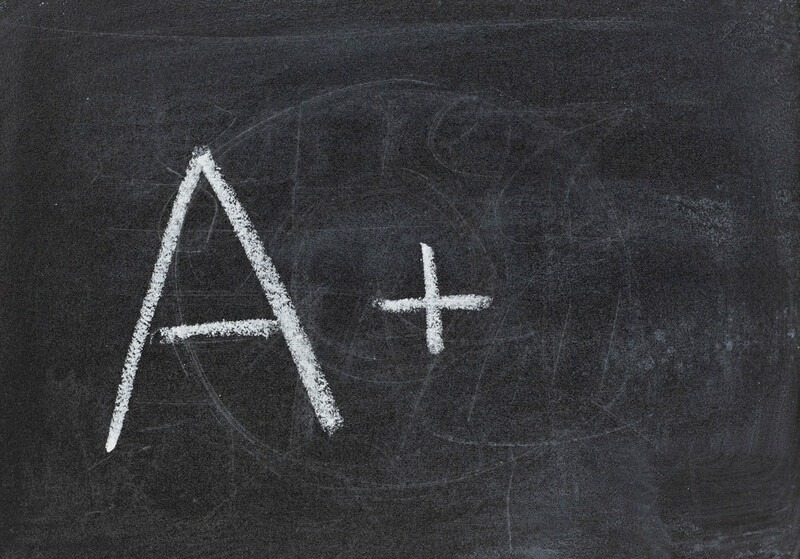 Something else that often varies from class to class is the grading scale. A 90 percent in your Western Civ class could be an A while it’s a B in your Statistics class and vice versa. Luckily, you don’t have to memorize the scale for each of your classes because, guess what, it’s in the syllabus. Keeping your syllabi in a place where you can easily access them will help you keep track of your grades so that you always know what you’ve got and what you need to do to maintain or improve them based on the requirements of each class. Professors spend countless hours creating syllabi for the classes they teach because they find them to be important. The syllabus is your lifeline for your class. Some people even go as far as treating it like a legal contract between the professor and students. Every bit of information on each page has meaning and is, most likely, something you need to know and have readily available throughout the semester. Hold onto syllabi. Use them. They’re worth it! If you have other tips on how to use syllabi to your advantage, tell us in the comments!